Tony Mayo is an experienced executive coach to business owners and their teams. He is a master of analogy and anecdote whose illustrations are as likely to come from his studies of brain science, high energy physics, or eastern philosophy as from his years of management and sales in high-technology. Whether speaking from a platform, coaching one-on-one, or facilitating a workshop, Tony maintains a laser focus on his goal of helping people realize their dreams. 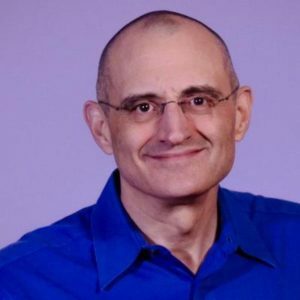 Tony has worked with Arthur Andersen & General Electric, founded boot-strap and venture-backed start-ups, and taught at the college, graduate, and executive levels. Tony is the author of #1 bestsellers The Courage to Be in Community and business-themed novel Crimes of Cunning. He is also the sole inventor of 2 US Patents. His most important activities today are family fun, working with business owners, and total health. All with one unifying purpose: to promote workplaces of humanity and prosperity where people can be productive and satisfied. Tony Mayo got his MBA then started a business and went on to sell that business. After he sold that business he went on to do consulting while owning multiple businesses. Tony grew up in an entrepreneurial family. From a young age he was taught that you make your own way in the world. Went on to write a book called Crimes of Cunning: A comedy of personal and political transformation in the deteriorating American workplace. He went on to learn that what he enjoyed the most was helping other people run their business so that they could have the best life. Business owners are starting to realize that they need someone to talk to and that it is lonely at the top. If you are the one running a business, you typically have to put on a certain face. Some of the business owners say that they can’t be frank with the people at home because they don’t understand the struggles. Tony talked about how he read an article about a successful entrepreneur who was going to marriage counseling with his wife. The counselor asked them each what they wanted most in life. The wife responded with financial stability. All she had ever heard were the setbacks and he forgot to tell her the other side of the coin. The habit that has led to his success has been having conversation in real life and not just in your head. Tony believes that habits are so important because sometimes we get into ruts. (Kind of like a creek that goes back to its original path after a big storm. He has something called the CEO conversation with a lot of business owners. This is that they could have managers below them but they are too busy getting involved with the business itself. Even if they are only 75-80% as good as you are, with two of them they are as good as you are. Start getting people around you to help be strategic. We are always selling something. The most powerful way to be good at sales is to ask questions. Switch your mindset into help them do something. If you have the why then you can work to fit their need. A lot of people have issues with objections. You need to stop worrying about their concerns-they have an interest because there is something that matters to them. Probe and ask questions about the concern. You can usually have them sell the product to themself. Analogies are just the way Tony Mayo thinks. You can take something you know and understand and compare it to something new. You need to incorporate stories into your presentations. Give them something tangible to imagine. Take them somewhere but you have to be there too. First was during the dot com boom: it assigned a long number to each of them to make it work. Second was a slightly different process of the first. To accomplish something that you really want to do, you should dedicate the first hour of every day to that task. For him, this is how he work his books. Set things up in the future so the you can have joy in the anticipation of the these events. What do you do daily to bring Energy into your life? Most people need to get more sleep. Do not trade sleep for exercise. Interacting real time with people gives him energy. Recommend a book and share why you love it?